Posted 3 September 2014 under Ask Us. 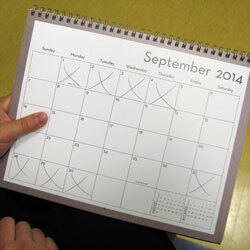 It’s a good idea to mark the calendar on the first day of your period. You can figure out how long your menstrual period is by counting the first day of your cycle (this is cycle day 1), until the first day of your next period. Two periods in one month can happen if you get your period at the beginning of the month and then at the end of the month. But if your periods are less than 21 days apart, make an appointment with your health care provider.